Simply clamp this permanent, stainless steel ladder fixing device to a rain gutter to prevent it from slipping or tipping. The installation materials needed to install this weather-resistant safety device are included in the package. 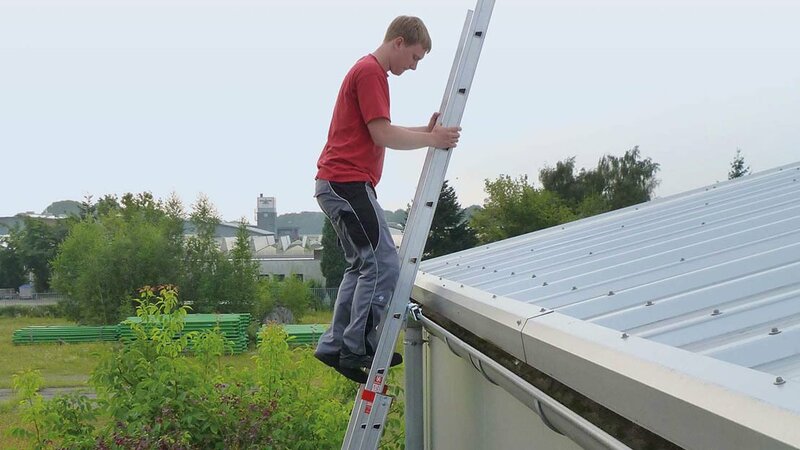 Did you know: The most common cause of falls from a height involve accidents with ladders, according to DGUV statistics. 26,000 such accidents were recorded by German insurance companies in 2012 alone - although securing your ascent is actually child's play. 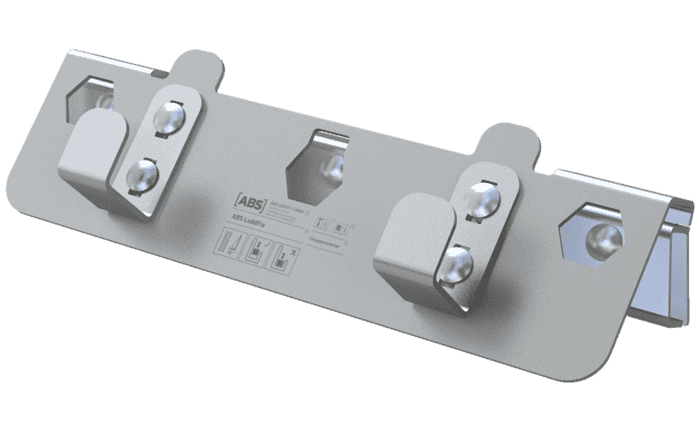 To prevent a ladder from slipping or tipping when climbing up onto a roof surface, we developed our ABS LaddFix model as a permanent ladder safety device. It is simply clamped onto a gutter and is suitable for all standard ladders with rungs at least 280 mm wide. Equipping a regularly-used roof surface with a permanently-installed ladder safety device offers another special advantage: Our ABS LaddFix can be used to permanently indicate the place from which the roof can be most conveniently and most safely accessed. When you have completed your work, simply take your ladder with you. 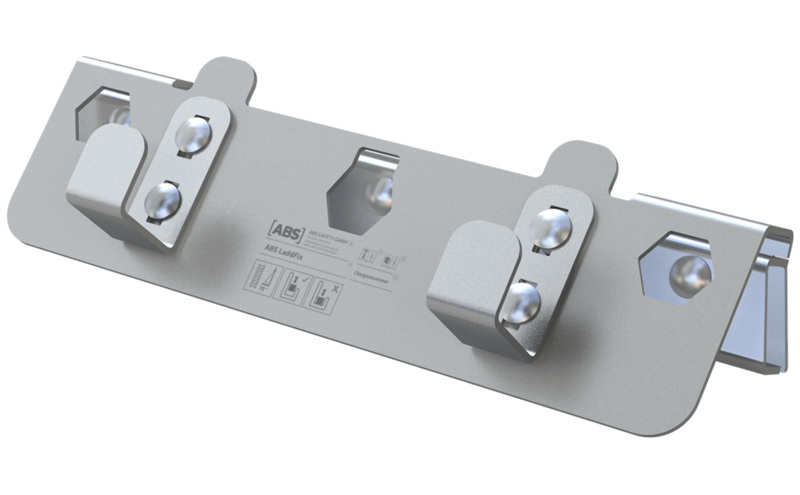 Our ABS LaddFix is manufactured from galvanised steel which protects it from the elements. Are you looking for a portable solution? 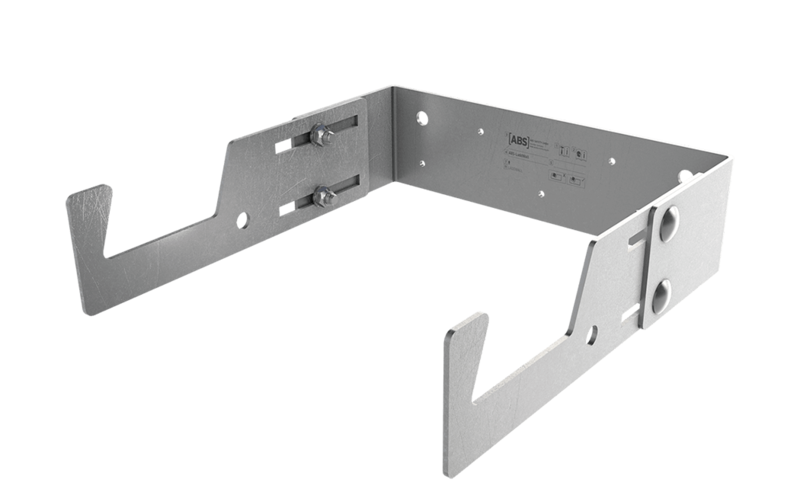 Our compact ABS LaddQuick is easy to transport and can be attached to any standard ladder right there on the spot.